Deal of the Day: Free Galaxy Tab A with Samsung Galaxy Note 9 Phone for 2/12/2019 only! Get a free Galaxy Tab A 10.5″ with purchase of a Samsung Galaxy Note 9 Unlocked Phone today when you buy through Amazon. The largest battery in a note, ever. When you have a long-lasting battery, you really can go all day and all night. The Note9 has twice as much storage as the Note8, which means more music, more videos, more pictures, and less worry when it comes to space on your phone. The Galaxy Tab A 10.5″ is the tablet you’ll want to get your hands on. Enjoy cinematic experiences on a wide screen with Dolby Atmos surround sound, listen to music or browse your favorite sites-and do it all at once. And with Google Assistant plus a long-lasting, fast-charging battery, your tablet keeps you going all day. Did we mention this comes FREE with the purchase of a phone? 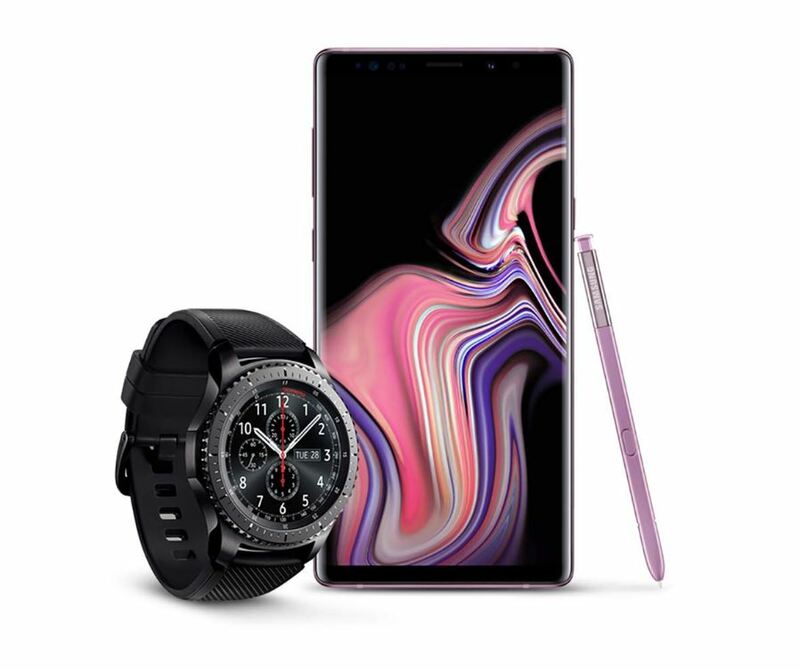 Get a Free Gear S3 with Samsung Note 9, 512 GB! Deal of the Day: Get a Free Gear S3 with Samsung Note 9, 512 GB! for 10/10/2018 only! Today you can get a free S3 Frontier Smartwatch with a purchase of the Samsung Note 9. You can choose from Ocean Blue or Lavender Purple. Save up to $600 when you upgrade to a Galaxy Note9, S9+ or S9. Offer purchase dates: 10/5/2018-11/3/2018. Receive a digital gift card within 3 weeks of your completed trade-in evaluation. The Note9 has the largest amount of storage offered in a Samsung phone. More space means more files, videos, and photos-and more peace of mind knowing there’s a place for it all. The Note9 gives you a quick network connection for incredibly fast streaming and downloading, so you can do more, uninterrupted. A distinctive steel bezel that you can rotate to access apps and notifications. Text, call notifications directly from your watch and so much more through your Bluetooth connected smartwatch. Make payments with Samsung Pay almost anywhere you swipe or tap a credit card. Battery Type and Size : 380mAh Li-ion.